Sterling Home Styling offers a wide range of professional home styling, home staging, and interior redesign in San Francisco to help give you an edge in the property market. By preparing, packaging and presenting your home to appeal to the widest possible audience we will give your home the best possible chance of sale or rental. As a result, your return on investment will significantly increase and your property will entice and captivate a greater number of buyers because they are able to envision themselves making the property their new home. And lastly bringing in new furniture and accessories to dress the space to create a warm and welcoming environment. With real estate property staging, we focus on creating an inviting home that the buyers will fall in love with. Real estate home staging is more about creating the Ahhh factor, whereas interior design is more about the Wow factor. • In-Home Consultation ~ Getting it right from the beginning is essential to the success of any project. We give top priority to the needs and goals of our clients to ensure that we have created the best possible plan for their home. In order to determine an outline of services, we conduct an in-home consultation with a detailed analysis of your San Francisco property. If you choose to move forward with our recommendations, you may do so on your own or employ our staff’s expertise – allowing Sterling Home Styling to oversee the entire process. You can be assured that our excellent project management skills will help you maximize your budget and add value far beyond your investment in the project. • Comprehensive Home Staging & Home Styling in San Francisco ~ Once the initial consultation has been done, we will develop a step-by-step plan of your San Francisco home staging and interior styling needs. We will address the editing requirements of your property as well as provide a room-by-room layout that includes all furniture arrangements, lighting, fixtures, color palettes, accessories, and décor in your home. • San Francisco Wardrobe & Closet Design Consultant ~ With a wardrobe planning and closet design consultation you can unlock the hidden potential of your wardrobe. We’ll help you reorganize your closet into your own personal boutique and discover what works, what to give away, and what essential wardrobe staples are missing from your closet. A complete wardrobe edit and closet consultation from Sterling Home Styling will give you the kind of closet space you have always dreamed of having and show you how to shop your closet to create looks based on the styles, colors and combinations that work best for you so that you can project an image of confidence and personal style. • Feng Shui Interior Redesign, Décor & Home Styling San Francisco ~ Sterling Home Styling adapts the principles of Feng Shui to illuminate your home’s environment with with positive energy. Our Feng Shui Interior Redesign, Décor & Home Styling Services ensure that your San Francisco home’s best elements are highlighted and featured. By balancing style with functionality throughout your home, we create an appealing, relaxing environment that will help attract buyers and increase your home’s value — a priceless return on such a small investment. • Photography Staging Services ~ Create an unforgettable first impression by combining Sterling Home Styling’s Home Staging services with professional photography to make your home stand out from the competition. We take care of styling and staging your property to highlight the beauty and function of your home by designing vignettes that create powerful relationships with potential buyers, evoke emotion, and capture the unique character of your home. 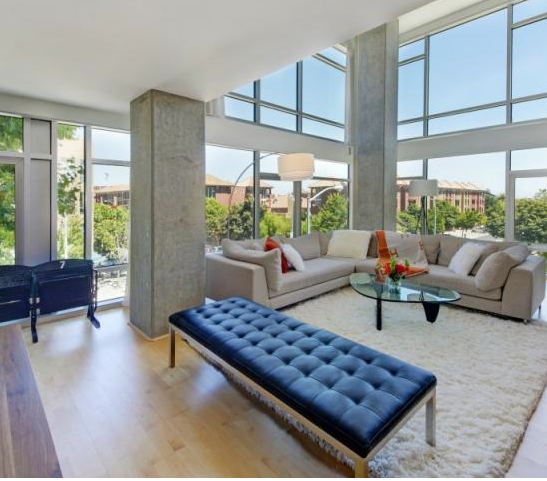 With our Photography Staging Services, you will see a noticeable increase in buyer interest and an improved marketability of your San Francisco property. 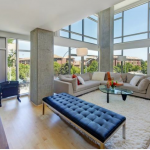 • Virtual Staging Services ~ Even if you own or live in property outside of the San Francisco Bay Area, you can still take advantage of Sterling Home Styling’s expertise in home staging. Through video chats and emails, we offer remote e-design consultations for home staging and styling. We provide everything you need from mood boards to a shopping list and resources so that you can transform your property into a show home that highlights its best features and appeals to a broader base of prospective buyers. • Rental Furniture and Shopping Services ~ For staging and styling projects in need of furniture, Sterling Home Styling in San Francisco offer assistance with sourcing both new or rental furniture as well as window and wall treatments, fixtures and finishes, rugs, and décor. Additional services we provide include the management of furniture loans as well as personal shopping. Our skilled professionals will maximize your home’s potential by enhancing the property’s interior and exterior appeal to instantly boost its saleability and differentiate it from competitors.